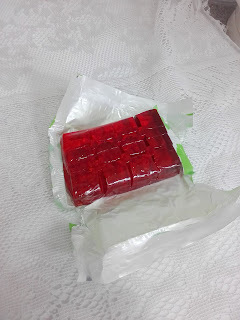 If you are British, you will obviously know that jelly comes in jelly blocks before you make it. 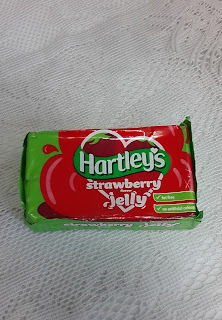 In some other countries they come in powder form like Hartley's glitter jelly. 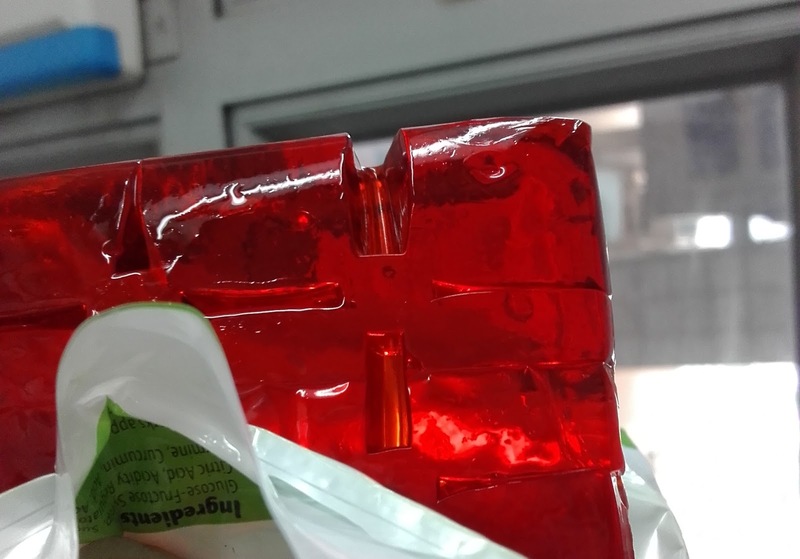 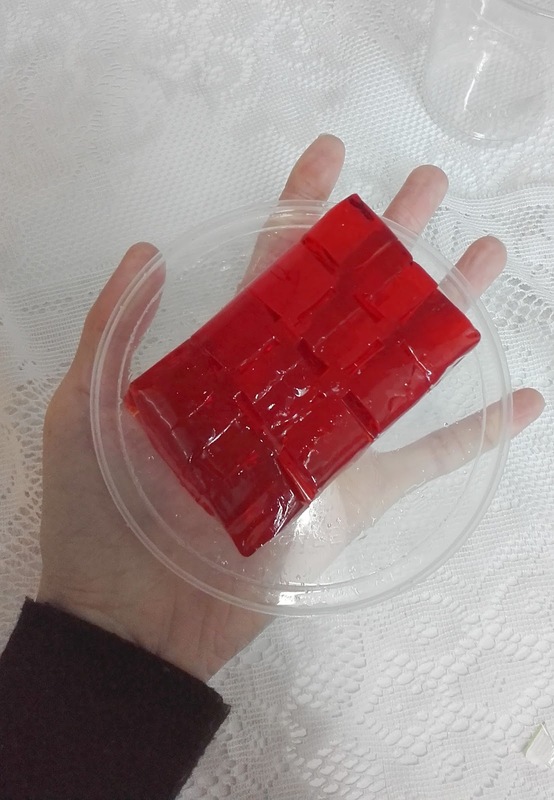 I decided to post this so that people can see the jelly block before it is made and I always ending eating some of it before making the jelly. When you remove the wrapper, there is a pretty jelly block that is firm and tough. 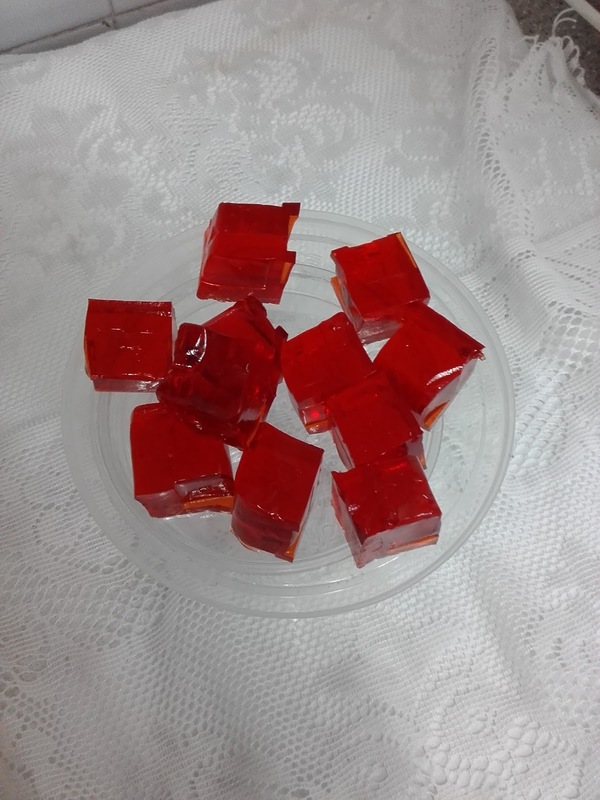 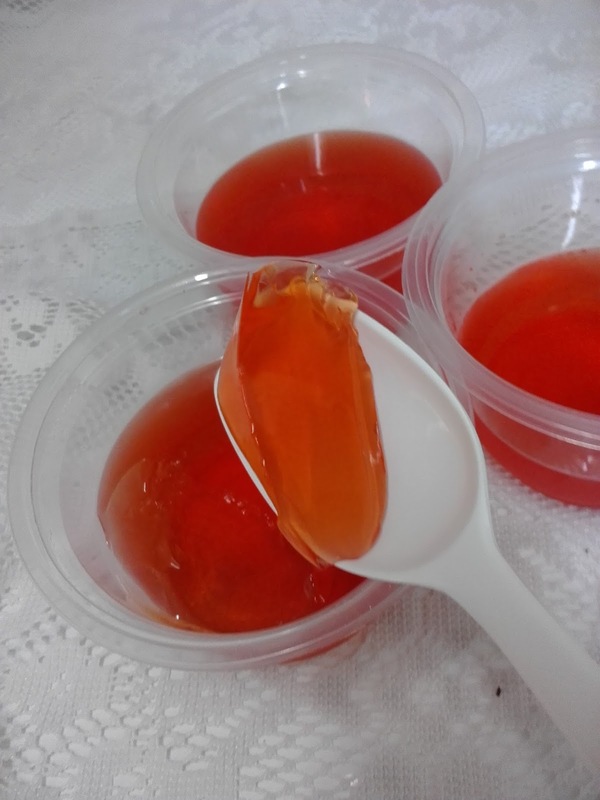 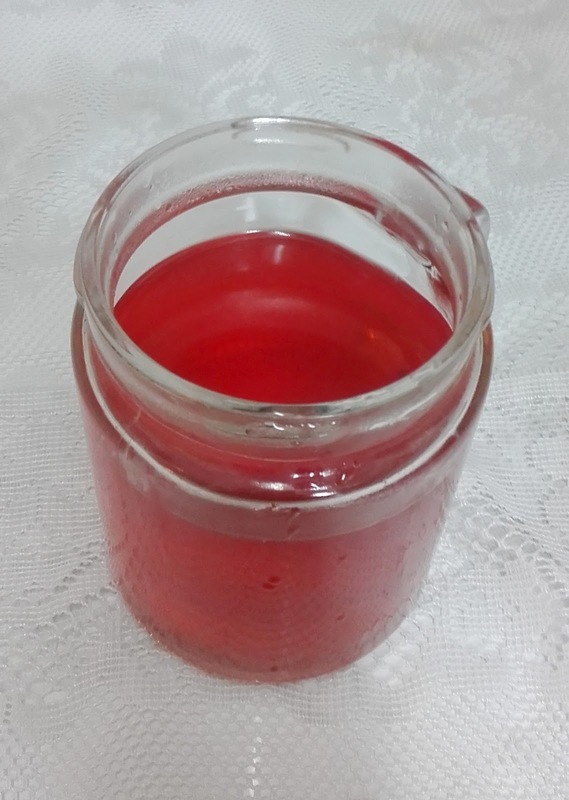 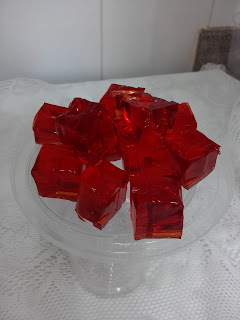 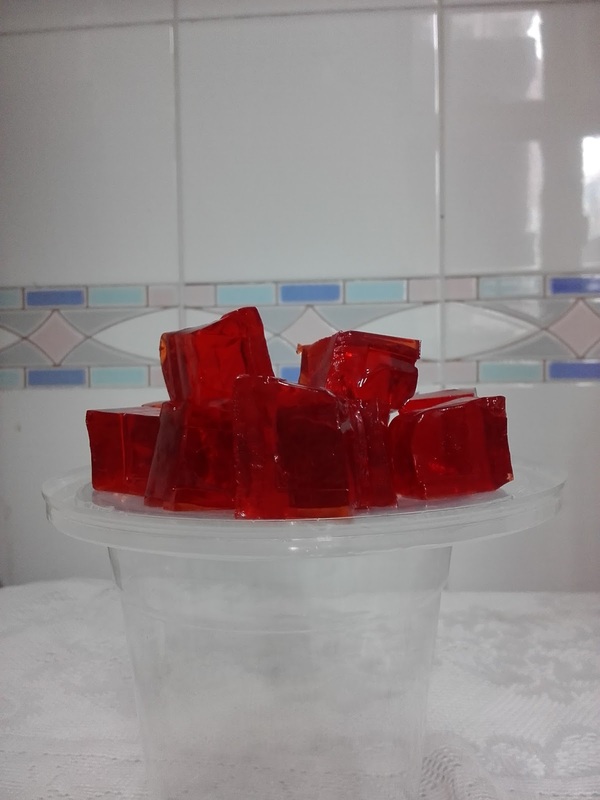 To make the jelly, it is best to cut them into squares cubes. 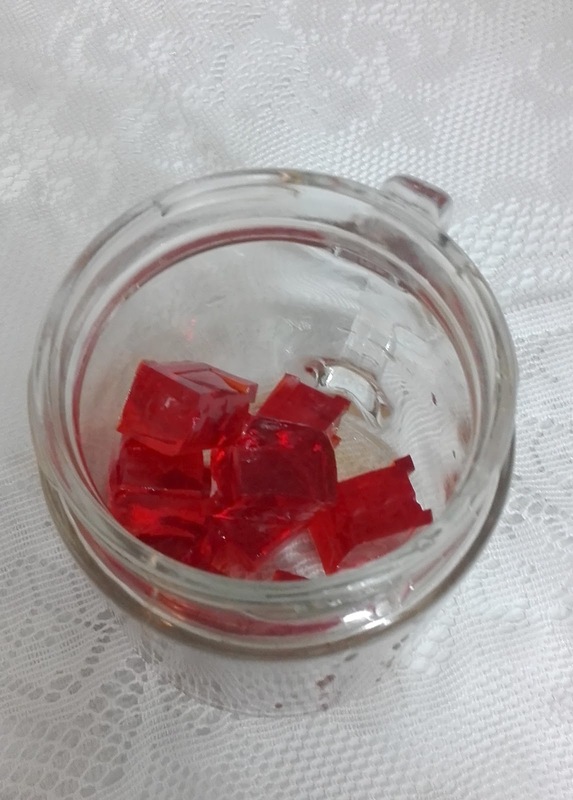 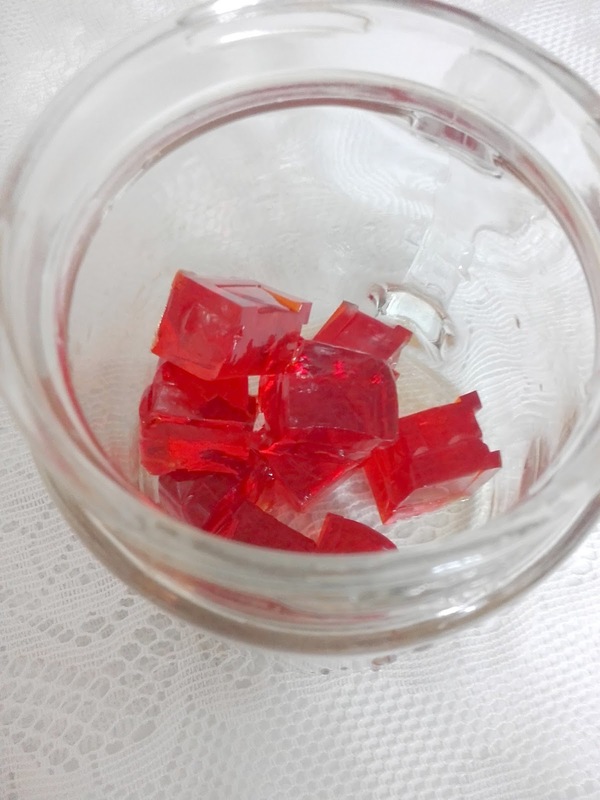 Obviously I ate some because some of the cubes have disappeared and they taste amazing just like that with a lovely strawberry fragrance and they are not too sweet! 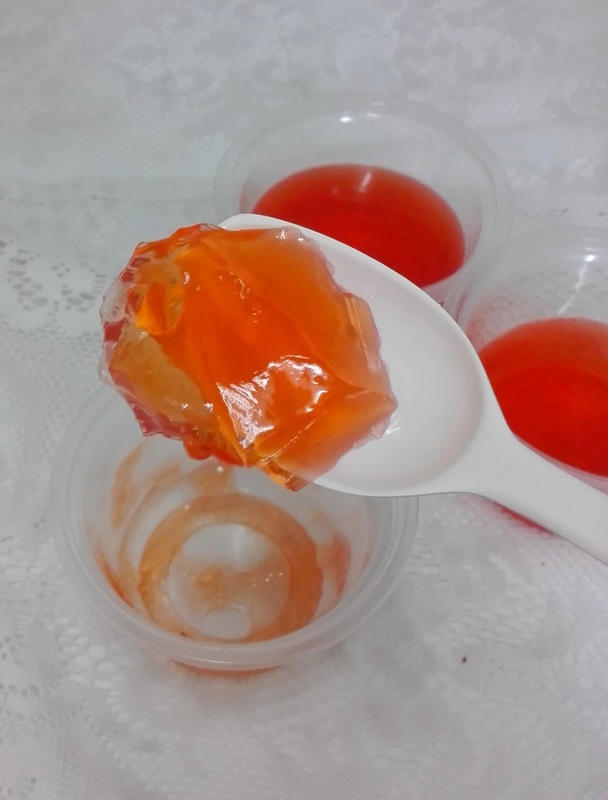 You just simply add boiling water, let it dissolve and pour it into a container and let it set in the fridge for a few hours. 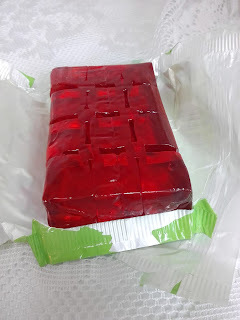 Here is the jelly that is ready. 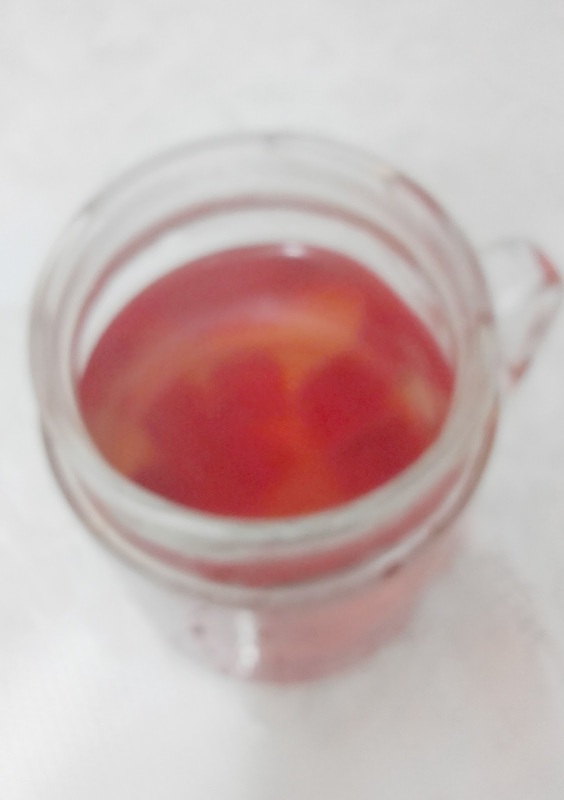 It is slightly lighter in colour. 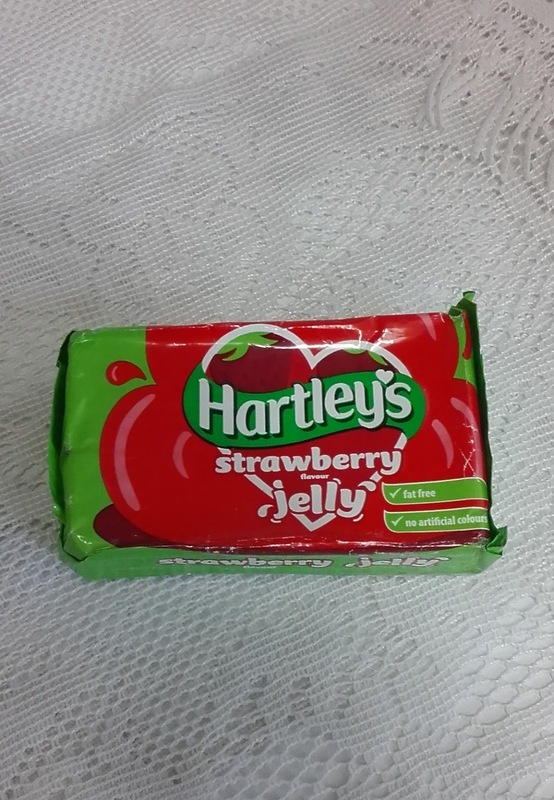 Video of the jelly wobbling!